We deliver the highest quality in professionally engineered services & manufacturing. 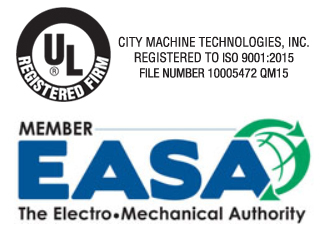 For over 30 years, City Machine Technologies has been serving medium and large industrial and manufacturing companies. We specialize in lifting magnets, electric machinery, industrial machining, in-place machining, babbitt bearings and crane brakes. We also offer field services for on-site repair and predictive maintenance within a 200-mile radius of our corporate offices located in Youngstown, Ohio. We know how important it is to keep your plant up and running because equipment downtime means lost productivity and revenue. At CMT, we make it our business to keep you in business.